Hello, I get this error when I try to load the plugin. Cant see it somewhere how to fix it. Any ideas? I'm having the same problem. I think we just need to wait for the 1.13 update. The Multiverse Signs works for me for now, whilst waiting on an updarte for this. anyone know how to make it work, or which version of the plugins actually work with 1.12? Hi! If you are trying to use 1.12, then you this is the place for you to go:https://dev.bukkit.org/projects/multiverse-portals/files Because, I believe you might have installed the alpha 1.13 version. If you look through the list, you should be able to find a stable version for 1.12. Good luck! Heads up commenters! In my own experience, the latest 1.13 quick alpha is non-functional. It usually just spits out a standard error such as "an internal error occurred..." To clarify, this is the 3.0.0-b785 alpha release. Also, the 1.12 stable release uploaded prior is not compatible with 1.13. I suppose we will have to wait. Godspeed, Multiverse devs! execute command 'mvp' in plugin Multiverse-Portals v3.0.0-SNAPSHOT-b785 - plugin is disabled. Any idea when we are getting a 1.13.2 update? How can i change the price that it costs when the players are using a portal ? It doesn't let non op players trough the portal. Can I fix that non op players could go trough portals as well? OK EVERYONE STOP COMMENTING REPLY HERE WITH HELP BECAUSE THIS IS ANOYNG AF! 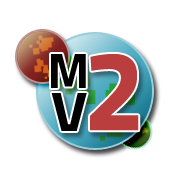 Ok so i don't care when you update the plugin cause i need it to my server (150+ players) and i've updated everything MVP and WORLD EDIT even MVC i got the highest Beta and released state i've tryed all combinations to 1.7.10 to 1.12.2 to 1.13.1, I can't create any portals and my server needs portals to travel to other worlds/servers... Ive tryed Beta and Released states! The problem i get: An internal error occured while attempting to perform this command! DONT TELL ME TO UPDATE EVERYTHING I'VE READDED EVERY OTHER POST ABOUT THIS PROBLEM! NO ONE FIXED IT WHEN WAS TOLD TO UPDATE! FIND OTHER WAYS PLEASE OR OTHER PLUGINS THAT CAN DO THE SAME THING OR EVEN WORK PROPERLY! I JUST WANT TO MAKE THE PORTALS FOR MY PP. WHAT'S THE DIFFERENCE BETWEEN 1.12.2 and 1.13.2 WHAT IMPACT DOSE THAT HAVE ON WATER, TP and OTHER WORLDS its just TP when u get in a region it's anoyng I AM THINKING TO USE COMMAND BLOCKS LIKE OLD DAYS LMAO... IT HAS BEEN DAYS FROM UPDATE DO SOMETHING!!! I SEE PEOPLE COMMENTED DOWN HERE ABOUT THE SAME PROBLEM. DON'T SAY IT'S NOT BIG DEAL. ITS A HUGE DEAL FOR OTHER ONLINE SERVERS THAT USES THIS PLUGIN! I had the same problem and I deleted world edit, made the portals and afterwards I addded world edit to my server again. For some wierd reason mvp doesnt work if you use world edit. Does this offer support for version 1.13 because in my console, it showed up as this version doesn't match your server version. How come every time I try to create a portal, this pops up? I have a jar that doesn't find worldedit that i compiled myself using the source code. it works for 1.13.1! just download it and put it in plugins. if the dev releases a version that supports worldedit i'll remove this although he probably will remove it himself. My world edit wand was changed to the shovel. Though if you have a wooden axe you can use the portal wand and it works. I know with the change you can't use numerical ids but changing the wand in the mvp config to minecraft: wooden_axe did not make a difference. Oh man, you are very cool! Thank you so much!